A few hundred people have refused to leave Pushkin Square in central Moscow after an opposition rally, saying they will stay until their demands for fair elections are met. According to police, at least 250 people have already been arrested. ­Police officers stationed all around the square tried to convince the remaining protesters to leave, alerting them that the rally was over. After nearly an hour, the officers started detaining some of the protesters, asking everyone else to leave. 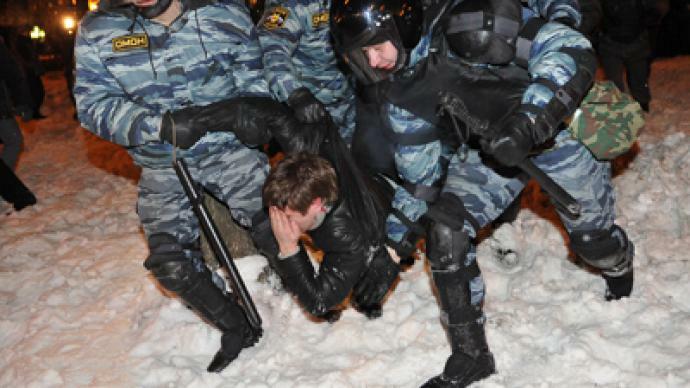 Policemen said they can and will use force to remove anyone who refuses to leave voluntarily. Both Left Front movement leader Sergey Udaltsov and anti-corruption activist and blogger Aleksey Navalny, who called for an indefinite protest, were detained but later released. Navalny tweeted pictures from inside the police van where he and other detainees had been held. 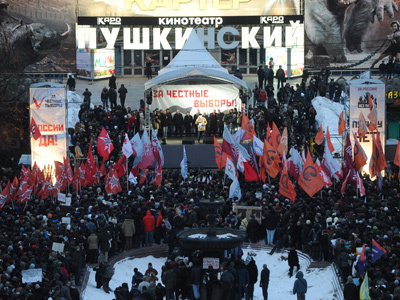 ­Earlier, some 14,000 people gathered at Pushkin Square, calling for fair elections. Several opposition leaders and public figures addressed the crowds at the sanctioned rally, which lasted for over two hours. 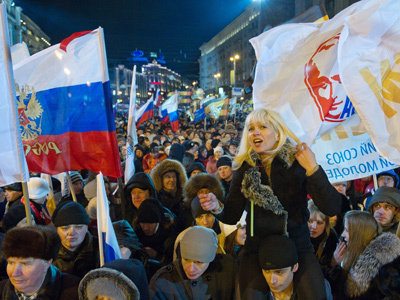 The opposition claims the presidential poll was rigged with various techniques to ensure Putin’s landslide victory.